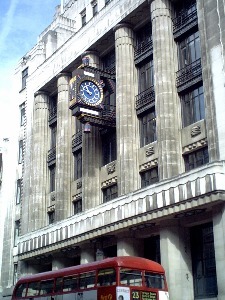 Built in 1932 with a splendid interior by Robert Atkinson and an exterior of shiny black Vitrolite and glass by Sir Owen Williams. It originally incorporated the printing plant but is now the offices of Goldman Sachs. 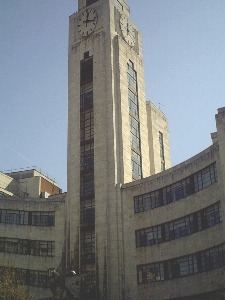 Designed by Elcock and Sutcliffe with Thomas Tait in 1928. 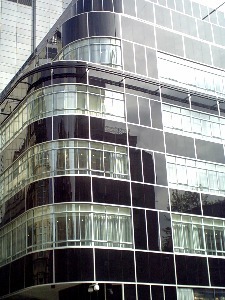 It originally incorporated the printing plant but is now the offices of Goldman Sachs. 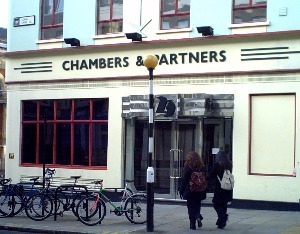 Former Hackney Electricity Company showrooms & offices built in 1924. 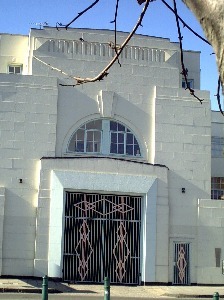 Designed by Albert Lakeman in 1939 with a pair of winged figures over the entrance by E R Broadbent. 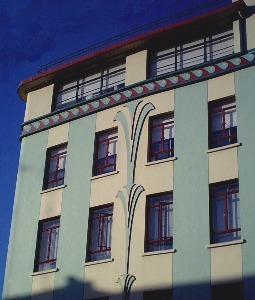 It was used by BOAC & British Airways but now houses the National Audit Office.